As the title implies. Sometimes I draw things in exchange for money; whether that makes me a professional is more a matter of opinion. Ask me about stuff if you want, it makes me feel important. 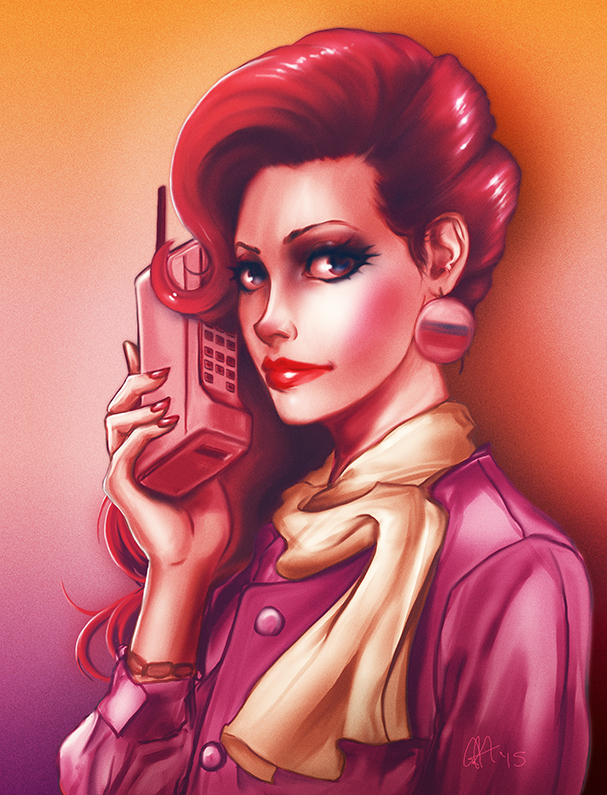 Photo study from an unattributed picture I found on tumblr - might be from an '80s fashion magazine? I dunno. Normally, I start in greyscale, then set my initial colours with gradient maps, but as I'm often unsatisfied with the end result, I thought I'd try starting in colour this time instead. Unsure how I feel about this so far. Also I don't seem to have permission to reply to other peoples' threads yet, despite my intro post being approved - is that normal? Nice pieces. Do you go with a number of preset gradient maps, or do you build one for each image? Re: permissions, that's not normal, but we have been having problems with the occasional spambot. One of the mods should drop by soon and fix it. Thanks! I have a few preset gradient maps that I use as a starting point, but I'll usually try to customise them to fit whatever I'm working on at the time. These are really nice, lovin the colors. Is that a NIKE ad? Hah, thanks. But nah, she's just from a stock image I found on Getty. 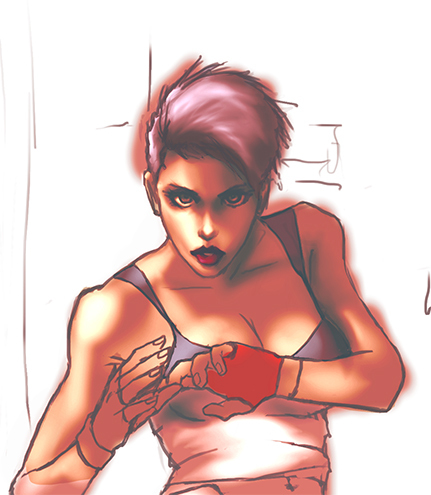 I did some more work on her face last night, but I'm not that happy with how it's turned out stylistically. 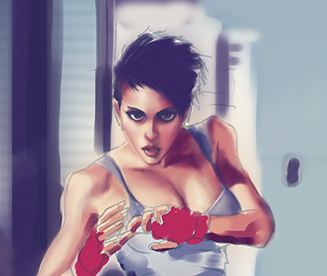 Recently, I've been interested in Serge Birault's work, wherein he seems to get amazing results with just a standard soft brush and not much else. In trying to paint like him though, I was finding it hard to balance the harder edges against the soft ones when working on her face, and when I got to her body, it just felt like I was copying the photo too directly. 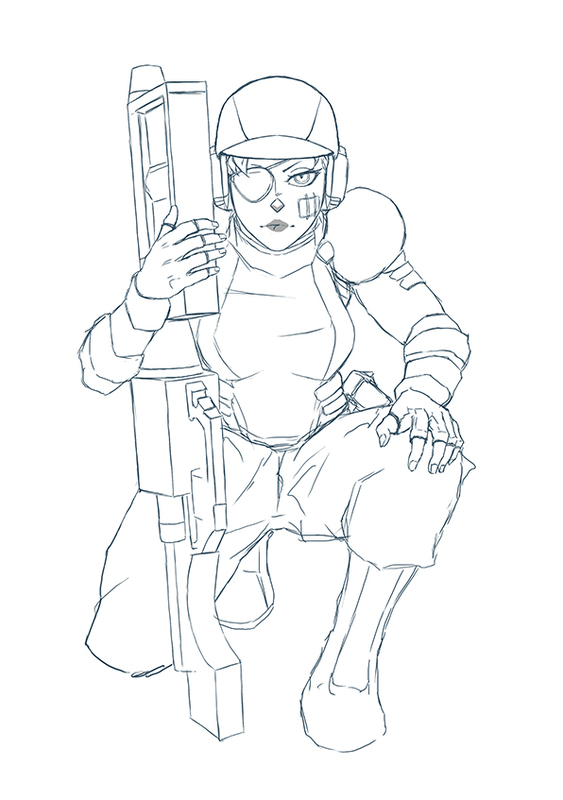 Not completely unhappy with it, but I think I'll probably go back to the lineart and try something else for the rendering. 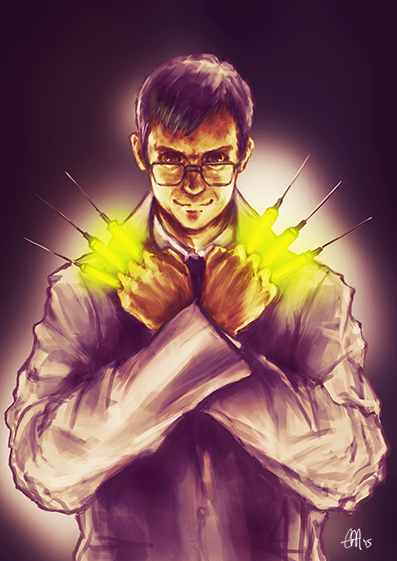 Ah referenced practices, the double edged sword. I have similar problems with using ref stock as i frequently fall into the nasty habit of copying what i see and not learning anything to take away to use in my own drawings. Still it looks excellent the blending is fantastic. Its something i seem to fail to do. I always start with large brushes but i lack any general precision which leaves me slightly miffed and discouraged as i never feel like i see the light at the end of the tunnel when i start the painting process. Blending is something I've always struggled with myself, but lately I've been making a lot more use of the mixer brush in photoshop. It's probably something best used in moderation, but it certainly helps smooth out the transitions if you're stuck. 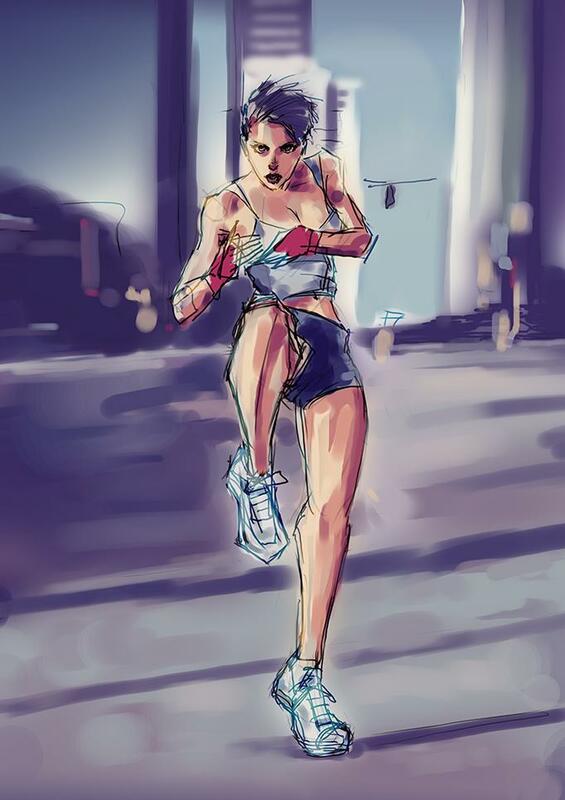 Having gone away and thought about the runner girl though, I've decided I'd be better off lighting the figure from my own understanding of anatomy as much as I can, rather than relying on the reference photo. I did glance at the picture a few times, but having tried to do as much from my mind as I could, I feel a lot better about this now. It's still very much work in progress and the colours are flat out wrong (experimenting with dCTb's 'vintage effect' trickery), but I think the way it's headed this time is a lot more sympathetic to the lineart. Also switched back to using Manga Studio for the rendering because I could not get the PS brush to behave in the way I wanted. 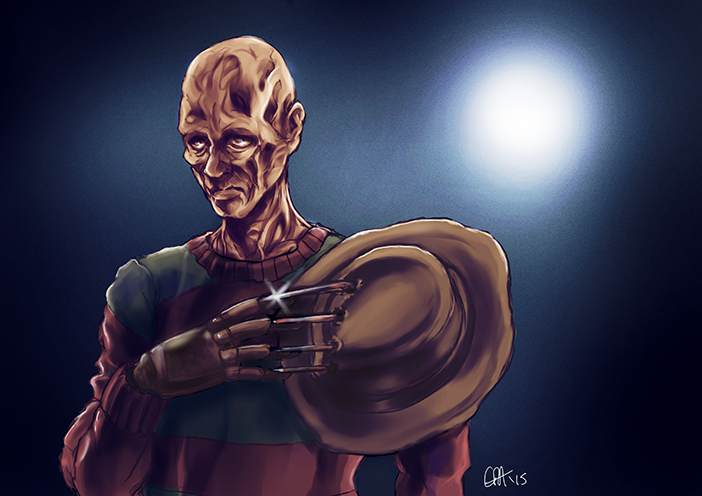 Tribute to the late Wes Craven. 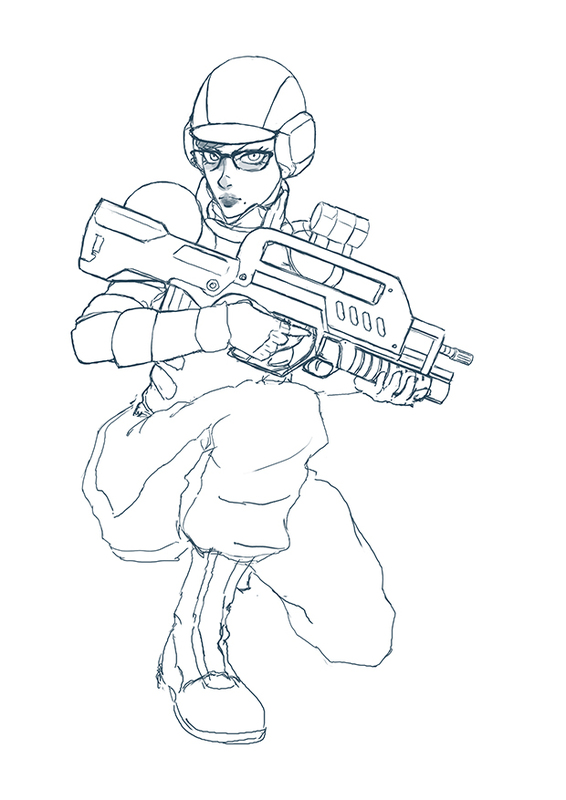 Lineart for the second player character in a game project I've been working at for yonks. This is about my fourth go at a design for her and there's still a fair bit to do on the detailing and line weight, but I'm a lot happier with her now. I see the Bayonetta there too. Also watch the head to body connection. If you outline her body from the neck to her shoulders, it feels a bit forced with the way her shoulders are angled and how her head should be attaching to her neck. You should color this one. Also watch the head to body connection. If you outline her body from the neck to her shoulders, it feels a bit forced with the way her shoulders are angled and how her head should be attaching to her neck. Heh, yeah, I've been working on that. Unsure how I feel about it so far though; I go through alternate periods of being quite pleased with this and thinking I should scrap it and try again. 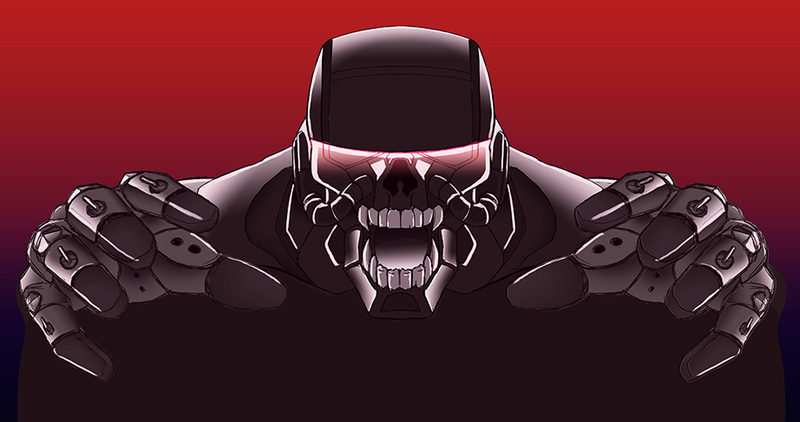 I go through alternate periods of being quite pleased with this and thinking I should scrap it and try again. Regardless of how good an artist is, I think we all go through that at some point or another. Looks good. Only thing I would recommend is using cooler colors for the shadows, like some purple, or green. 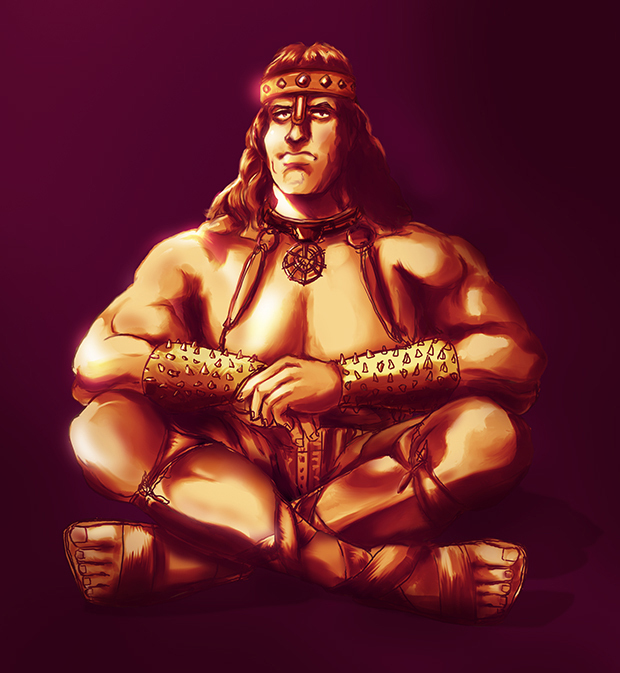 About the Conan piece, perhaps ya could make the bracelets, boots, necklace and headband a differet hue so he doesn't look like a trophy but the expression is boss. Thanks both I haven't gone off in a huff over it or anything, but annoyingly I've not been back to the Conan one for quite a while, as I've been trying desperately to get this game stuff finished. 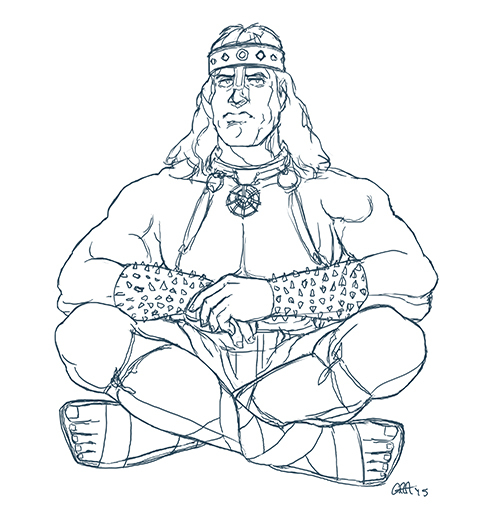 Still haven't finished Conan. I need a holiday.